"Why I Wish I Could Be Prince"
There are no two ways about it: If you are a woman reading this, Prince could seduce you. Almost universally, women try to dismiss this claim. Most say that it lacks validity because they have never had their fair opportunity to deny Prince's advances. Many are quick to say that Prince is short and gross, and that they'd have nothing to do with him. And some flat-out tell me that I should take a purple paisley scepter and do unspeakable things with it. 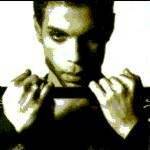 To all of these unbelievers, I point to evidence that Prince is, in reality, a divine being. As such, the multi-platinum hit maker and star of "Under the Cherry Moon" is not bound by rules of this mortal world. To resist Prince would be beyond your mere womanly control. The Artist Currently Known As Jeff, with The Artist Formerly Known As Prince, now again known as Prince. Am I making any sense? It has been said that faith is the foundation of all that is real, and I began to see The Purple Light in 1989, the year that Academy Award-winning actress and animal activist Kim Basinger had a full-blown epiphany. It was the year when Prince wrote and recorded the soundtrack to the original "Batman" movie, before that film series got unconscionably lame. During production, supermarket tabloids reported that "Batman" star Basinger fell prey to the elfin magic of the film's diminutive musical composer. Specifically, these reputable journals stated that the stars' affair involved an unusual and unhygienic oral fixation on Prince's toes. "How could this leprechaun of a man persuade such grotesque pleasures from the lovely and talented star of "9 1/2 Weeks"?," I cried aloud, as you may have as well. "He must possess some supernatural force!" Yeah, but what does it look like when doves cry? Swipe your mouse here for a peek! For years, I delved deeper. At first, it was repeated listenings to the song "1999". They revealed that Prince foresaw the end of the world as only a god-like figure could, albeit one with less-than-satisfactory mathematical skills. But more evidence was needed. Then Prince changed his name to that incomprehensible glyph, taking on characteristics that were neither completely male nor completely female, another decidedly divine thing. My skepticism further waned. I cannot remember, dear diary, the exact moment when I became a true believer. Perhaps it was in a dream. Perhaps it was during time well spent watching an "MTV Video Music Awards" ceremony or episodes of "Soul Train". But the proof came to me in this seemingly simple revelation: Prince is an excellent dancer. Throughout history, scientists have time-and-again disproved the claims set forth by cultists at The Arthur Murray Studios that men can dance, and have warned mere mortal males against even trying. The fact that Prince is able to command a stage while dancing  without feeling the least bit awkward  was all the proof that I needed to know for sure that he is not Man but Super Man. Prince, my good friends, is to be looked upon in amazement, as Deney Terrio was before him. After a nasty breakup with composer and foot fetishist Prince, actress Kim Basinger takes to gnawing on flesh-colored furniture. And if you've ever seen an episode of "Dance Fever," then you know that the ladies never could deny Deney, could they? All of which amounts to exactly why no woman can reject Prince's otherworldly charms, despite any claims to the contrary. And so ends this discussion  and begins The Purple Reign. Editor's Note: This essay was written under contract to Kim Basinger, and lamely presented to her current husband, actor Alec Baldwin, under the guise of an official psychiatric document explaining the "Prince phenomenon." It is reprinted here without permission. Like I've said before, all images are doctored up by me for fair-use comedy purposes, but they remain property of their owners, who are free to tell me to eliminate them from the site and take a hike. It would probably make a lot of people sad, though. Oh yeah, and "Little Red Corvette" is an excellent song.